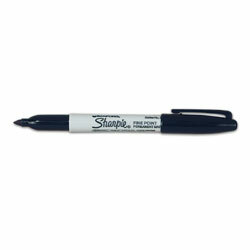 I think the hardest question for me to answer was probably the Sharpie one. 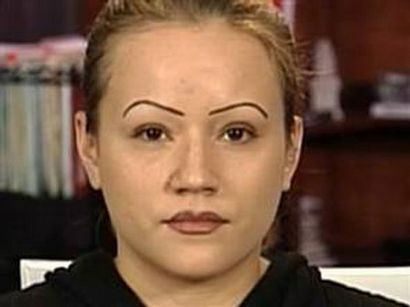 Seriously, no brows and Sharpie brows are some of the two biggest face-fears I haaaaave! Brows people! They are important! Fix them, word? Either one would be awful, awful. 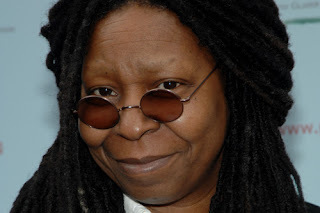 I found this image in a Google search for "no eyebrows". Obviously, Google image search lies. For comparison purposes, Whoopi Goldberg and her invisibrows. I'm not sure why that needed an evil laugh. Anyway, I hope you enjoyed watching! As I said in my last post, please still let me know what drugstore makeup recommendations you have because I want to do a drugstore look/review soon. :D Until next time! It's a must to have product :) But I don't know if it's available in your place. I'm sorry, but these questions were ridiculous. Comparing nail polish to all makeup? Coral cheek or pink cheek? Lipstick as eyeliner? Wow. Whoever came up with those questions made me a bit embarrassed about liking makeup. oh my god! i can't believe the sharpie eyebrows thing was even a question! haha! i wouldn't know what to choose. You should try the L'Oreal HIP Jelly Balms. They are awesome! I can't live without mine, and I am constantly reaching for them since they are hydrating and it's like using a balm and gloss in one product. My favorite out of the bunch are Succulent (a soft natural mauve-y pink), Plush (bright pink-ish) and Savory (peachy coral red). I have done it! Posted! Will be honored if you visit! It was hard question! I felt bias toward my makeup! They are my babies! <3 love you Jen! This enjoyed watching this video & I just did it too on my blog! Here are some drugstore products I use & would recommend; L'oreal Super liner, Maybelline Pure Cover Mineral concealer, Maybelline Dream Matte Powder, NYC Mosaic Face Powder, Sleek Palettes & Amie Morning Dew Matte Finish Moisturiser. Hi Jen! What are you wearing on your lips? It looks gorgeous! And I also recommend Almay's One Coat mascara series. I heard that it's really good! CoverGirl's Lash Blast has also had really good reviews. hi jen! i've read a lot of good reviews on l'oreal true match super-blendable foundation.. though i have not tried using it yet.. hope you could consider it for your drugstore look/review.. i'd love to hear what you think about it..
btw, i really like your hair and make up in this video! Wow, I agree with you pretty much on the whole questionaire! Nice vid! I absolutely love your blog & your recent Turquatics literally blew me out of the water! I'm gonna try that look too with Sleek Make-up palettes, would u be keen to see? You are so beautiful and inspired me to become a makeup artist even though i know nothing about makeup. How to have younger n white skin like u?